Smooth shimmering of black formica stones is complemented with the brilliance of gold metal. 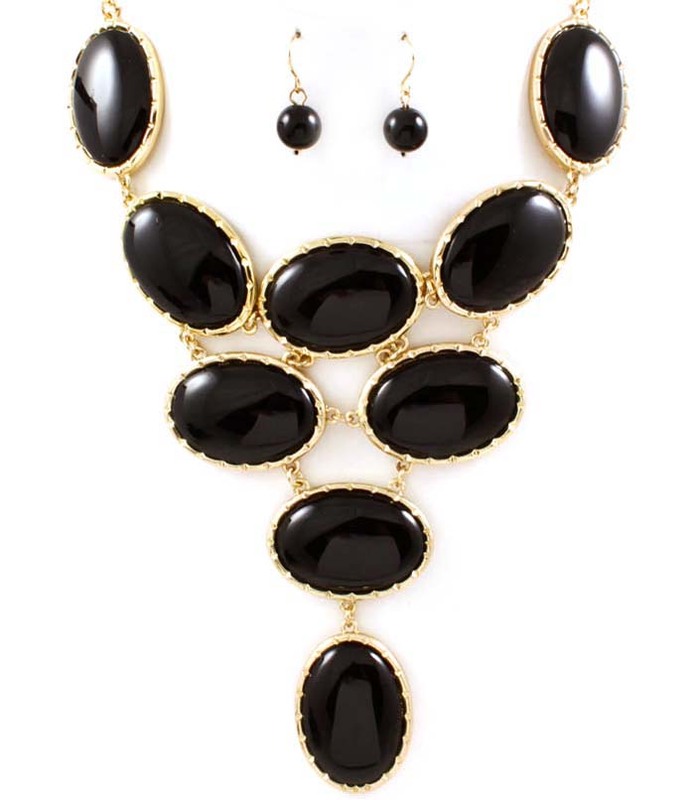 Multiple oval black stones are linked with a gold chain and make up a V-neckline. The earrings with small-sized smooth black orbs. If it's cheap jewellery online you are looking for you've found it!